The team at Image Crafters knows how to draw attention. Trust us to take your vision and create a head-turning campaign. Vehicle wraps are the best way to get your name out there — near and far. Contact us if you’re interested in advertising that travels. Our custom decals are simple to utilize and provide quick, effective promotion of your company name and logo. It’s that simple. Our wraps are custom, quality, and creative. Talk to us for a quote, and we’ll tell you how wraps can take your advertising to the next level. Image Crafters is any business's go-to resource for out-of-the-box ideas and concept development. 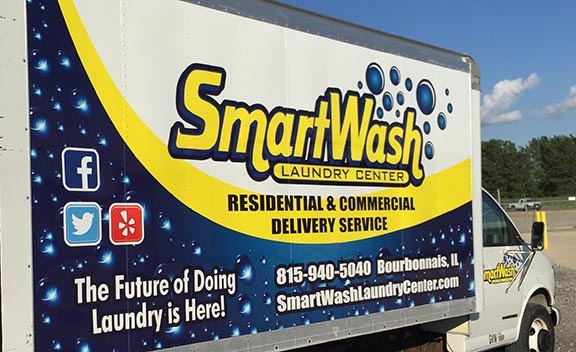 After providing graphic solutions for over 25 years, Image Crafters is the most professional option for companies in the area to advertise using high-quality custom graphic wraps. We handle every aspect of the process, from design to install, and believe that our full-service offering is unmatched within the industry.